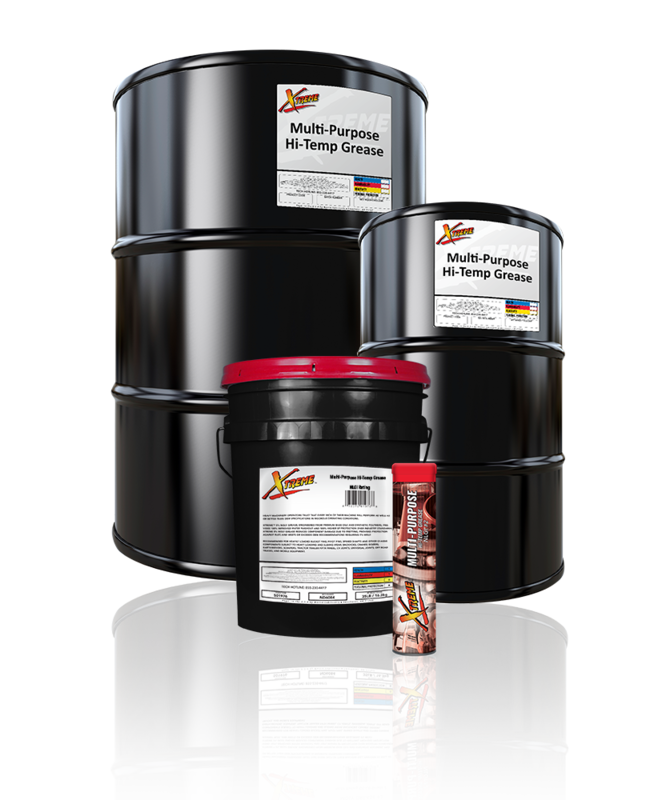 Xtreme Multi-Purpose Hi-Temp Grease is designed for a wide range of automotive and industrial applications where a multi-purpose NLGI #2 grease is recommended. Ideal for use in ball joints, universal joints, kingpins, bushings, roller bearings, chassis lubrication and fifth wheel lubricant, as well as industrial plain, friction, and roller bearings operating at normal temperatures, speeds, and service in contaminating environments. An extreme pressure additive package helps moving components withstand heavy shock loads and prevents wear. NLGI Rated GC-LB for automotive chassis and bearing usage.